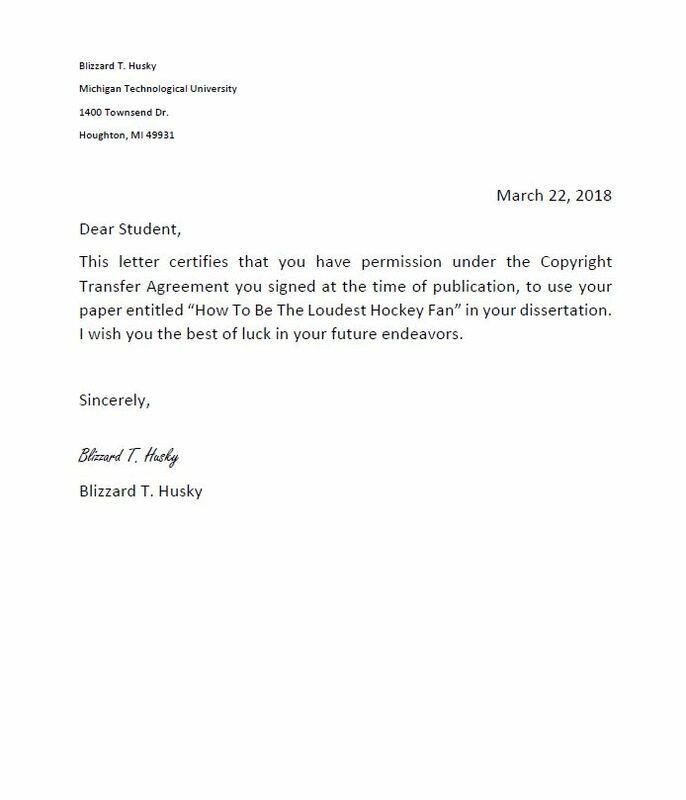 One of the requirements for a Thesis, Dissertation, or Report to pass our formatting checks to make sure that all signatures in your document are properly obscured to protect the identity of the signer. To help you figure this out, we’ve created a step by step blog post on how you can use the Redact tool in Adobe Acrobat Pro to remove signatures. To begin, you will need to open your document or the letter which you need to redact a signature from in Adobe Acrobat Pro. Make sure that you are using Acrobat Pro as the redaction tool is not available in Adobe Reader. We will use this example letter to guide you through the redaction process. Some word processors will generate lines (such as those found in tables) and/or text in a combination of red and green that will appear black on the screen, but will appear in color to the bindery that will print your document. Depending on how other items are created and/or inserted into your document, grey-scale figures may also appear in a combination of red and green. Creating high quality images and embedding all fonts are two requirements of creating a thesis or dissertation. These two requirements will ensure that your document is presented at the highest quality and that the document appears the same on any computer, regardless of the fonts that are available. This tutorial will show how to check and select the conversion settings in Word to make sure your document meets the requirements. Having bookmarks that replicate the table of contents (TOC) – and include the TOC – is one requirement of the procedures to submit a thesis or dissertation. Bookmarks allow the reader to see a TOC wherever they are in the document, and navigate easily to that section of the document. This tutorial will show you how to create bookmarks using Word and Adobe Acrobat on the PC. Having a table of contents (TOC) with hyperlinks is one requirement of the procedures to submit a thesis or dissertation. Hyperlinks allow a reader to click on any part of your table of contents and navigate directly to that page. This tutorial will show you how to create a hyperlinked table of contents using Word and Adobe Acrobat on the PC. Preflight profiles in Adobe Acrobat® Pro can be used to check properties of a PDF document, as well as make some automatic fixes to them. In this tutorial, we’ll show you how to use preflight profiles developed by the Graduate School to check the image quality in a PDF file. Graduate School All Items will show you all items that have errors (red “x”) or should be examined (yellow exclamation point). It includes checking page size (red “x”), embedded fonts (red “x”), type 3 fonts (red “x”), image quality (yellow exclamation point), and color images (only important if saving printing costs is a concern for you). This is the same checker that the Graduate School uses. Graduate School Embedded Fonts will show you all of the fonts that aren’t embedded and where type 3 fonts are used. Graduate School Images will show you which images have a resolution below 300ppi. Graduate School Color Pages will show you which pages are in color. For your thesis or dissertation, you must either present all pages in portrait orientation, or list all of the landscape pages on the Degree completion form. If you have many landscape pages, it may be easier to rotate the pages in the pdf than list all of the pages one by one. This tip requires Adobe Acrobat, and applies to either a single sided or double sided document. Having the correct paper size and page number location is an important part of preparing a thesis or dissertation. Adobe Reader and Acrobat have tools that will help you verify these elements of your document.